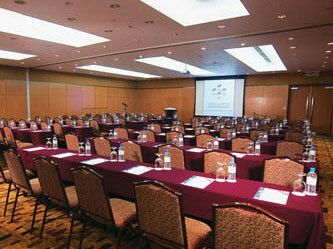 RM1000 (USD300) per session, includes use of screen, projector and laptop for presentation. The Organisers reserve the right and full discretion to decline any applications that is deemed inappropriate for this Conference. Applications are considered on a first-come-first-serve basis and acceptance is based on early confirmation and payment. These trade workshops are opened to National Tourism Organisations, social and environmental agencies/enterprises, eco-tour operators and entrepreneurs, eco-lodge owners and any organisation with an interest to promote, engage and network with the global ecotourism fraternity at the WEC2010. The challenge and opportunity for product development and marketing is to stimulate more visitor spending per head, minimise leakage away from the local area, reduce environmental impact and increase support for conservation. Your workshop may strive to promote ecotourism concepts and eco-touristic experiences through your tour itineraries, educating the travel trade and travelling public, the value of responsible tourism to endemic flora and fauna and the benefit to local communities. Although specialist tour operators are important in this market, the majority of ecotourists are individual travellers making their own arrangements. You may want to provide the travel trade and consumers with e-marketing and web-based applications, branding and positioning of website channels and introducing interactive applications eg social media channels, booking engines etc. All of these technological applications offers fast, responsive and detailed engagements, linking demand to suppliers more efficiently. 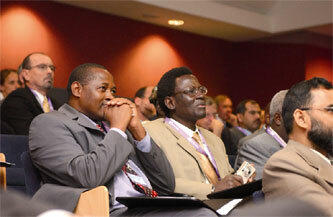 The WEC2010 is a dedicated conference for the ecotourism fraternity and trade, making this the perfect platform for international, national and local tourist organisations to engage and promote their ecotourism themes and products to specialist tour operators and media. The workshops combined with the Green Tourism International Mart as well as offers of technical familiarisation tours to your destinations are opportunities to engage directly with targetted travel intermediaries and eco-travellers. Effectively done, it will generate the all important 'word of mouth' recommendations which by far is the most potent form of marketing in ecotourism. These workshops are educational platforms for eco-destinations and ecotourism programmes to reach out to the market with emphasis on quality, authenticity and security. In marketing ecotourism, providing information on the ecology and culture of the area and how to respect it as well as quality interpretation by hosts, protected area authorities or local tour operators, can greatly affect the visitors’ experience and their impact on the local community. International and incoming tour operators have an important role to play, not only in promoting ecotourism but also in advising on the overall quality of a eco-destination, relating this to customer requirements. More informed market segmentation will enable products and promotional strategies to be adapted to different expectations and requirements. Reportedly, a survey confirmed that inherent quality of the landscape and wildlife is the main visitor motivation, but closely followed by the opportunity to meet local people and experience cultural traditions and lifestyles. Apparently, there is strong focus on wildlife and wilderness in the Americas and Africa, while in Asia there is particular interest in the associated cultural dimension and in Europe ecotourism is often linked to rural tourism and landscapes shaped by man. Due to the variation in concepts and understanding, it is important for NTOs and destinations to differentiate themselves from "misunderstood perceptions" by reinforcing their concept of ecotourism pursuits in marketing their eco-destinations and products.